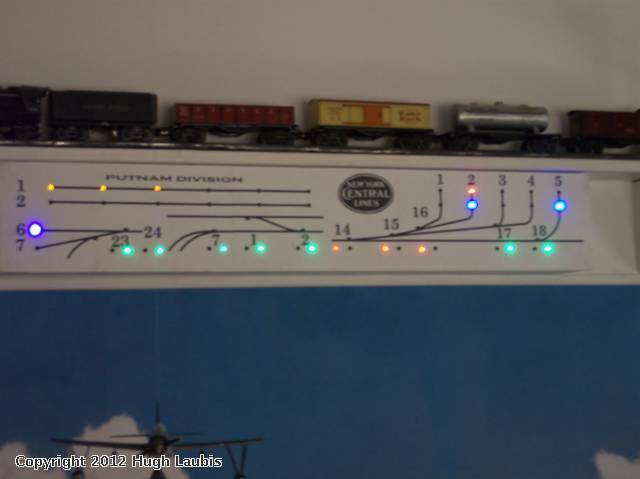 Has anyone cut out the lights on the christmas led lights sets to use them in their layout buildings. and was this an easy thing to do. right now i am thinking about getting a string of led christmas lights and cutting out 27 of them for my house and stores. Is this possible. any help is appriciated. I still looking through links here and other sites. I have done it Boxcar. Was it easy? It was for me, but I think it depends on the specific set. I got a set of "warm white LED" lights from Target. Each light on the string has a plastic, candle-shaped cone casing that you can take off. Then you pull the LED, along with its socket, out of the base. Then you have to bend the wire leads from the LED downward to straighten them out, which enables the LED to slide straight up out of the socket. The strange part is that some of them have a teensy, tiny resistor inline with one of the leads, and others do not. I've found it doesn't seem to matter though, as all the LEDs - whether they have the built-in resistor or not - seem to react to supply voltage the same. I am careful not to exceed approximately 3.3 volts DC, and they work very well this way. 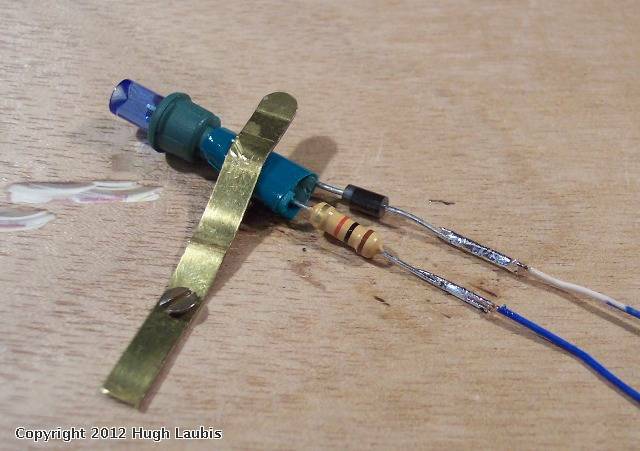 How do you plan to power your LEDs? 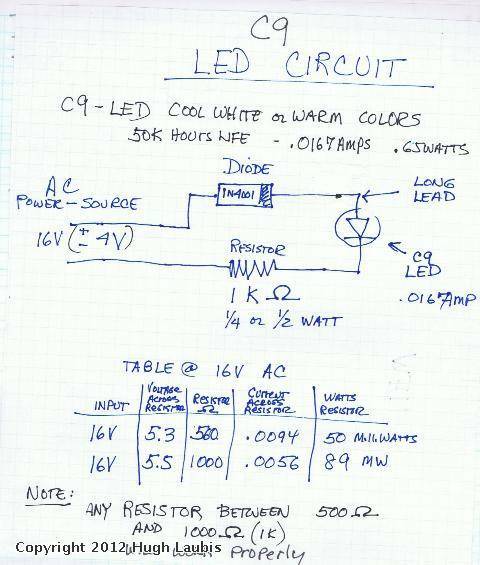 Most (white and "warm" white) LEDs operate on approximately 3.0 to 3.5 volts DC, so you will need to figure out how to supply this kind of voltage. Let us know if you want to explore that further. ]I have used Christmas LEDS for two applications. 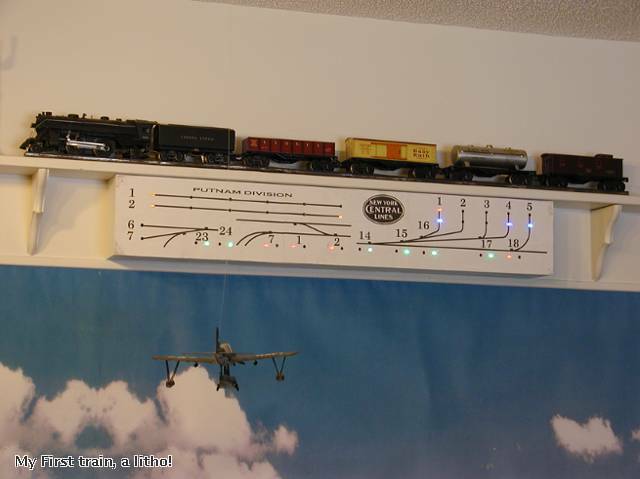 I use them in my display panel on the wall which tells me the status of what is going on under my tunnel. Pictures do not do justice to the brightness of the LEDs. Green/Red tell me position of my switches. Blue tells me that I have power in a siding. Blue/Red tells me that the siding I have power in has a train in it. 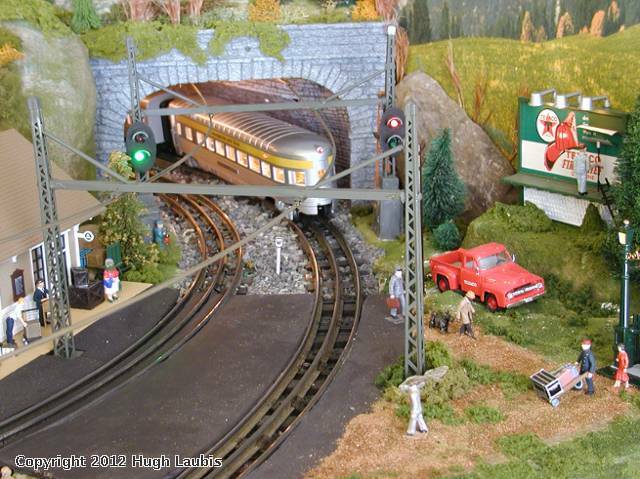 Yellow tels me wherethe train is in the tunnel. 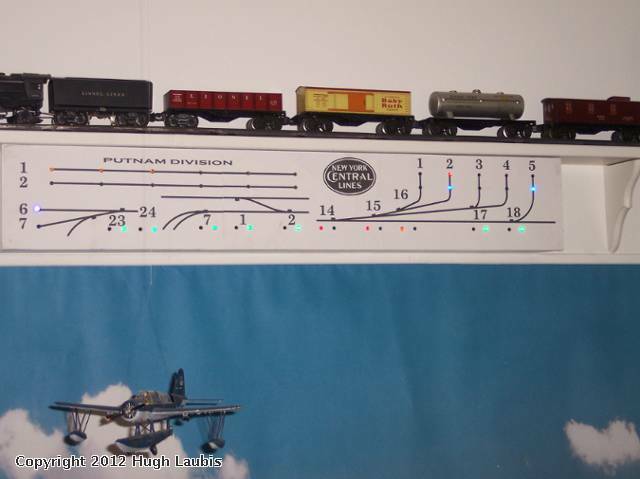 The second application is using them in my signals rather than bulbs. See the pictures for these. I made a circuit with resistor and diode so the LEDs can handle track voltages without burning up. I found that the white LEDs were not very bright and have no use for them. Nice job, thanks for posting your pics. and I bought led lens mount to increase the viewing angle to 180 degrees. I am going to use 1/4 watt 750 OHM resistors for each led and powering them with a plug in wall pack thats 12vdc 1amp. when I get started I will post pictures. for now I just have a hand drawn print. My objective was to solve the multicolor requirement and do it cheaply! I bought the lights after Christmas in Walmarts and the resistors & diodes in bulk.